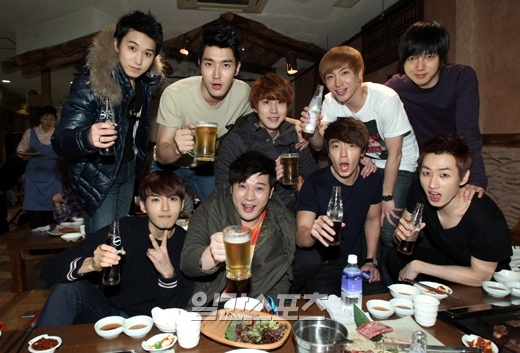 Dorky SuJu <3333~. <3~. Wallpaper and background images in the Super Generation: Super Junior & Girls' Generation club tagged: super junior suju. This Super Generation: Super Junior & Girls' Generation photo contains 夕食のテーブル, ディナー, ビヤホール, ブラッセリー, and ブラッスリー. There might also be 休日の夕食, ビストロ, レストラン, 飲食店, 食堂, and 家を食べること.